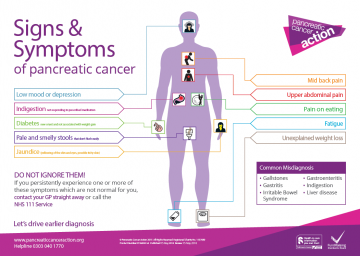 Sharing Twosday is a fantastic way of informing your friends and family of the symptoms of Pancreatic Cancer who may not be aware them! Raising awareness of these are so vital as it enables earlier diagnosis and life saving operations to be performed, improving the survival rate drastically. All you have to do is share our symptoms poster from our Facebook page and encourage your friends to pass on the information too so it can reach people who would never even have known about it otherwise.